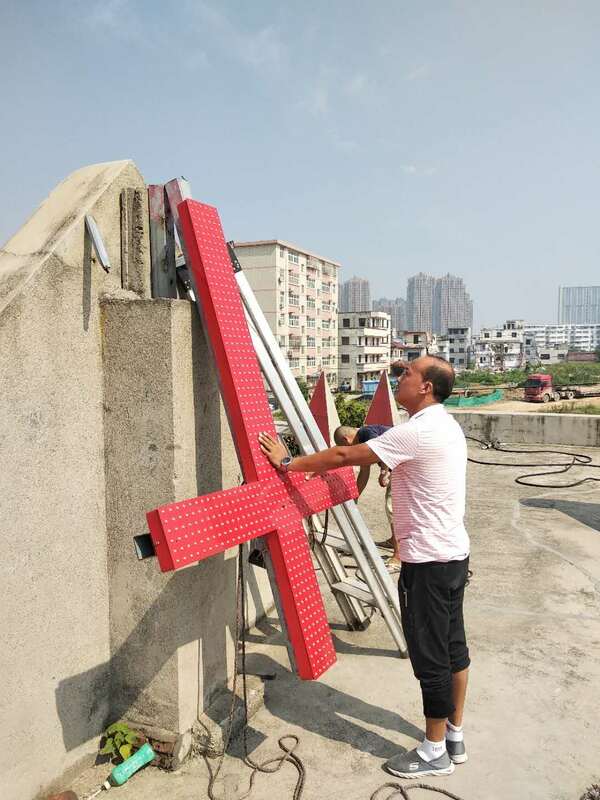 In Shanghai the "basic values ​​of socialism" are exalted on the pediment of the church. A painting of the Last Supper removed in Henan. Communities forced to sing patriotic hymns. 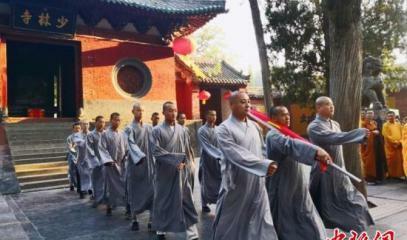 Shaolin Monastery in Shaoshan must hold a flag-raising ceremony every morning. "The churches seem more and more like government offices". 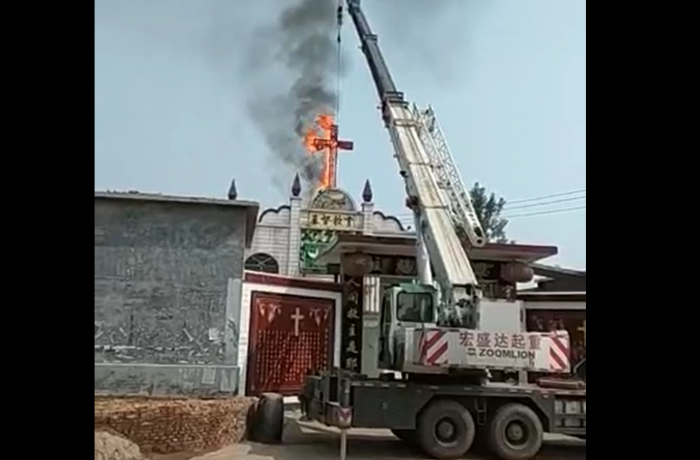 Beijing (AsiaNews) - In the name of the sinicization, to create a Christianity with "Chinese characteristics", the government authorities are burning crosses on the bell towers, replacing them with the red flags of China; slogans praising the Party and the values ​​of socialism are exposed on religious buildings, erasing sacred images, that are considered too Western. 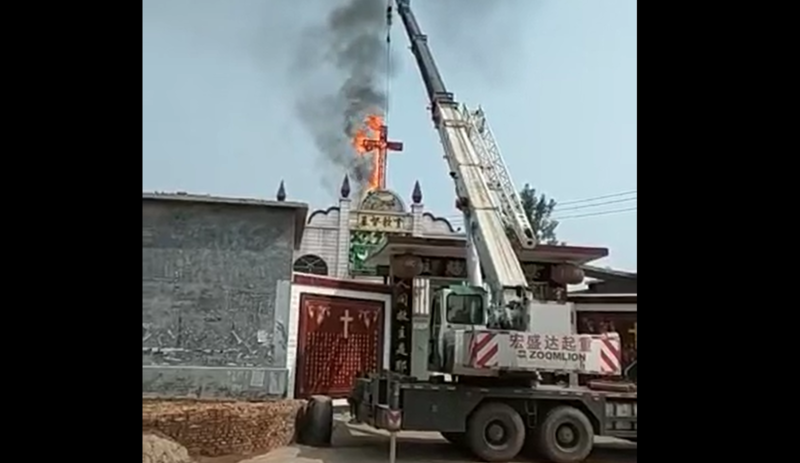 In recent days in Henan, the cross of a Protestant church was burned in Anyang, Shuiyi County (see video); another was demolished in Hebei; another one in Luoyang has been replaced with the red flag (see photo 2). Even a Catholic center in Anyang had to display the flag (see photo 3). 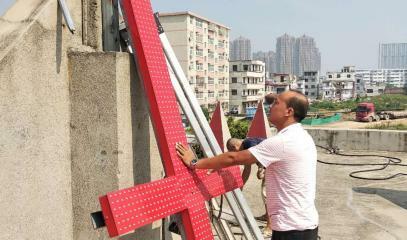 In the Pudong region of Shanghai, the Xuanqiao’s Church of Jesus Christ had to display the slogan on the "basic values ​​of socialism". Sinicization, the slogan launched by Xi Jinping, aims to force all religions to assimilate Chinese culture and above all to submit to the authority of the Communist Party. 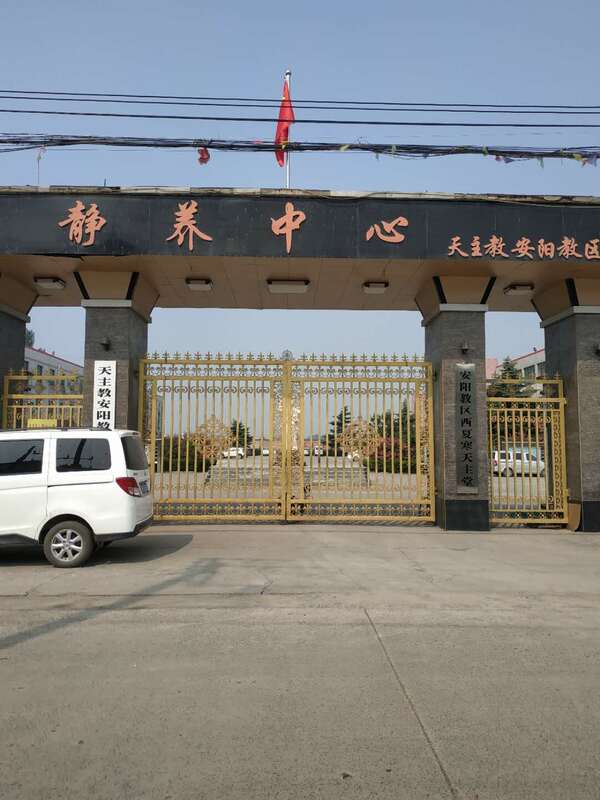 According to many Chinese faithful, "under the mantle of patriotism, religions are being emptied of the elements of their faith and are seen as political instruments at the service of the government and the Party". A Catholic comments to AsiaNews: "At this stage, with the red flags, the patriotic songs, the ban on young people taking part, the churches seem more and more like government offices". No religion escapes this homogenization. 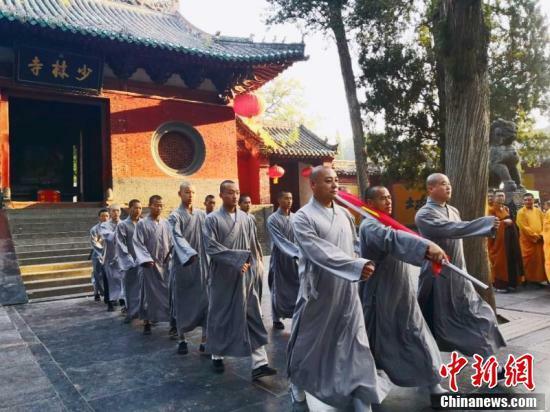 Since yesterday, the Shaolin Buddhist monastery in Shaoshan (Henan) has also carried out the flag-raising ceremony every morning (see photo 4). 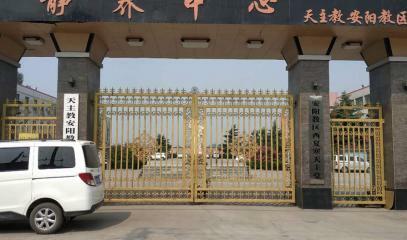 The whole Chinese Buddhist Association has decided to join in the initiative.